​With the NBA trade deadline now over, potential trades that fell through at the last minute are now being exposed to the public. And the following trade would have broken the internet. 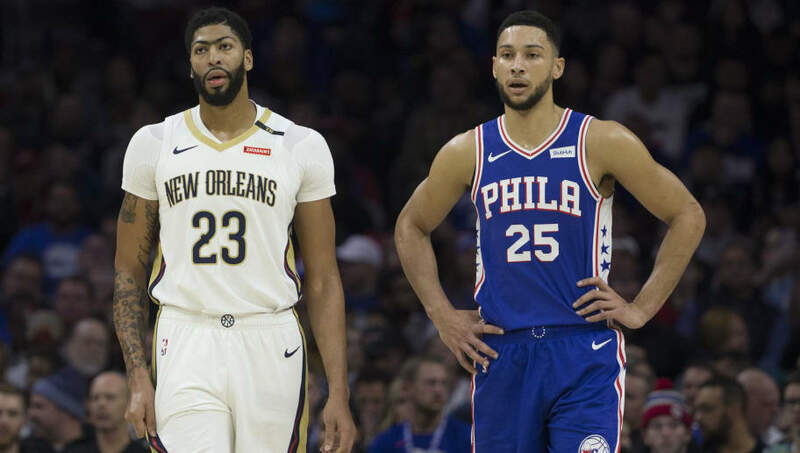 It is being reported that the ​Philadelphia 76ers and the ​New Orleans Pelicans discussed a deal involving ​Anthony Davis and ​Ben Simmons. For the Pelicans, it is obvious why they would offer such a talented player to the 76ers. A few days leading up to the deadline, Davis and his camp revealed that they sought a trade out of New Orleans, and you could imagine that the team started making calls to almost every team with tradable assets on its roster in short order (most notably, the​ Los Angeles Lakers). As to why the 76ers may have been willing to give up Simmons, that is the big question. While it is impossible to deny Davis' greatness, Simmons is also an amazing player himself, has a significantly cheaper contract, and is only beginning to come into his own as a two-way threat. If the 76ers had dealt him, the team would not have lost a top-tier facilitator and versatile defender, which would have made it harder to get Davis involved in the paint where ​Joel Embiid also resides. It might be better for everyone that this possibility never came to fruition. Instead, Philadelphia was able to trade for a dependable scoring forward in ​Tobias Harris without having to give up key members of the team in return. It is clear that the 76ers are in win-now mode, but shipping off Ben Simmons for Anthony Davis might have been a little too extreme.